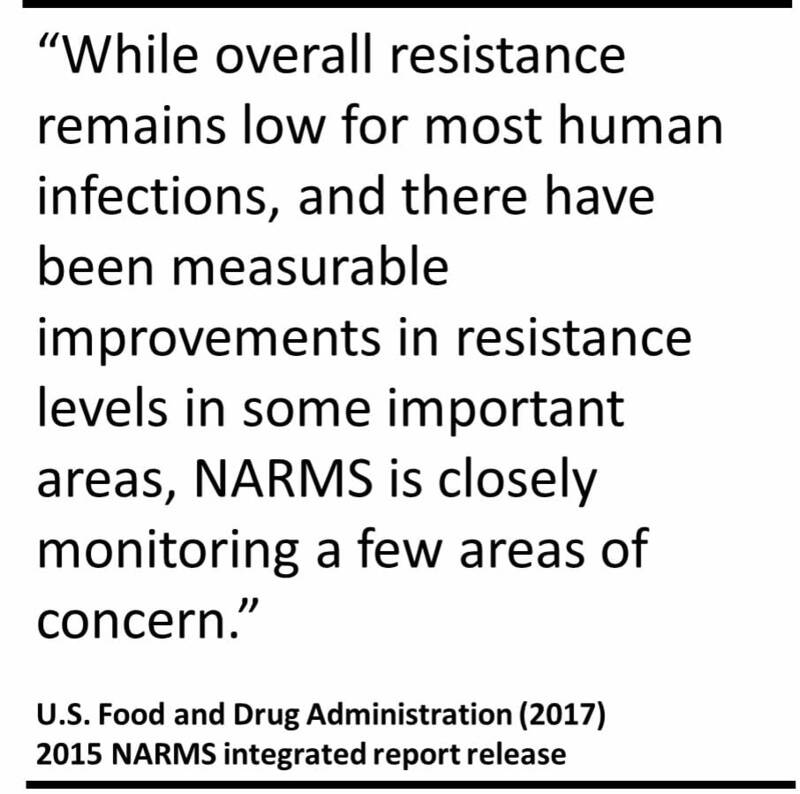 On October 23rd 2017, U.S. Food and Drug Administration (FDA), along with partners, Centres for Disease Control and Prevention (CDC) and the U.S. Department of Agriculture’s Food Safety and Inspection Service (USDA) released the annual National Antimicrobial Resistance Monitoring System (NARMS) integrated report. The report illustrates antimicrobial resistance patterns surfacing in both familiar and emerging bacteria present in isolated samples of human tissue (by CDC), raw retail meats (by FDA), and animals at slaughter (by USDA), using both genetic and interactive data analysis to allow users to investigate the progression of resistance and the genes influencing such progression. The development of Whole Genome Sequencing and data visualisation tools has, and will be, critical to predicting antimicrobial resistance and disease outbreaks which the FDA, CDC and USDA will continue to use in the progression of NARMS research. 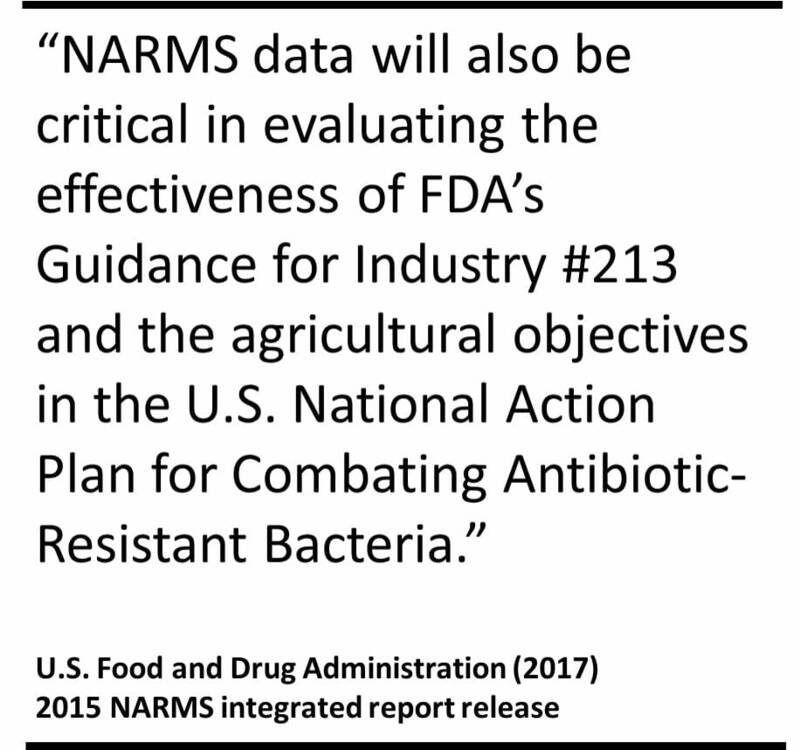 To date, NARMS has been pivotal in providing public health officials with evidence and advice on the patterns of antibiotic resistance in food-borne bacteria, allowing for effective decisions to be made on using antimicrobial drugs safely and effectively in animals. Multidrug resistance (MDR) increased from 9 percent to 12 percent of human Salmonella, driven largely by an increase in combined resistance to ampicillin, streptomycin, sulphonamides, and tetracycline among Salmonella serotype I 4,,12:i:-. As reported by the U.S. Food and Drug Administration (2017).